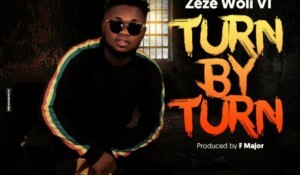 NBJ’Gang proudly presents ZEZE in this spanking new single titled “Turn by Turn” produced by F Major. Zeze who is from the Republic of Benin, is based in Lagos and has been in the Nigerian music industry for a while. “Turn by Turn” is produced by F Major and is dedicated to his fans. Get in touch with Zeze on Facebook, Twitter & Instagram @zezewolivi.